The new generation of the Bentley Continental GT was a small revolution within the British brand. A new platform was launched that made great tourism improve in many aspects. What was seen in the coupe soon became apparent in the Continental GT Convertible, although both had only one mechanical option, something that changes now with the incorporation of versions with V8 engine in both bodies. 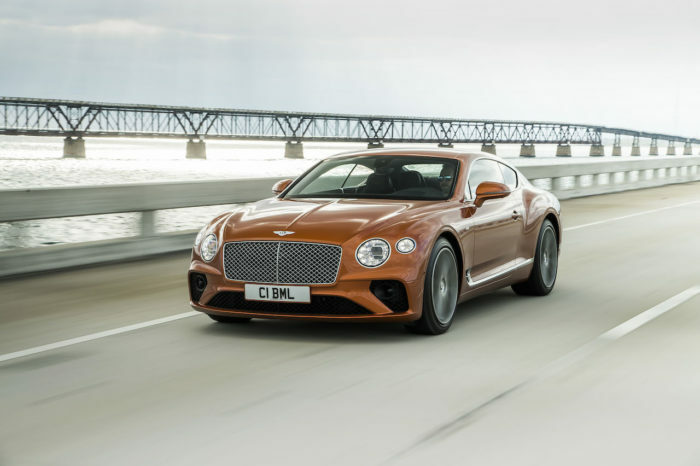 Because now under the bonnet of the Bentley Continental GT there may also be a 4.0-liter twin-turbo eight-cylinder block that will be the access to the coupe and cabriolet range. It is a mechanic that develops 550 HP and 770 Nm of torque, an important step compared to the 635 HP that has the W12. It has cylinder disconnection and is linked to an eight-speed automatic transmission that makes changes in just 20 milliseconds. However, having a weight, means that your benefits do not suffer too much. With this configuration, the Bentley Continental GT is able to accelerate from 0 to 100 km / h in 4.0 seconds (4.1 seconds the Convertible), just three tenths of the twelve-cylinder. The maximum speed in both cases is 318 km / h (333 km / h in the W12). It also promises outstanding dynamic behavior thanks to the driving modes of the Bentley Drive Dynamics, the adaptive Dynamic Ride System chassis or the air suspension. Aesthetically, the Bentley Continental GT will remain elegant and dynamic in equal parts. Draw attention to the 20-inch wheels, which can be up to 22 inches optionally. The V8 can be distinguished from the W12 thanks to its specific badges or to the quadruple exhaust outlet. The convertible top opens in just 19 seconds and can take up to seven different configurations. Where there will be no distinction will be inside, because in the Bentley Continental GT V8 you can also configure everything to suit the client and reach a maximum customization. The new generation went digital with a new 12.3-inch touch screen and digital instrumentation of the same size. Interestingly, the V8 versions will arrive at the end of this year to the United States and will have to wait until 2020 to reach Europe.